According to officials, Ministry of Agriculture, Land Management and Cooperative has decided to take legal action against 98 traders. It has decided to warn 131 others to correct themselves, abiding by the rules and regulations of the board. KATHMANDU, June 28: Ministry of Agriculture, Land Management and Cooperative has started taking needful action against 98 traders at Kalimati Vegetable Market after finding that they were doing business flouting rules and regulations of the Kalimati Fruits and Vegetable Development Market Board. The ministry had started investigation against traders after an inspection conducted by ministry officials found that the traders were misusing their rented place and breaking the rules and regulations of the market. According to officials, the ministry has decided to take legal action against 98 traders. It has decided to warn 131 others to correct themselves, abiding by the rules and regulations of the board. The board had classified traders into four groups -- red, blue, yellow and white – on the basis of their offence. The ministry is taking action against them accordingly. The ministry has also expressed commitment to continue market inspection in the coming future to uphold the rights of consumers to healthy and hygienic food products. 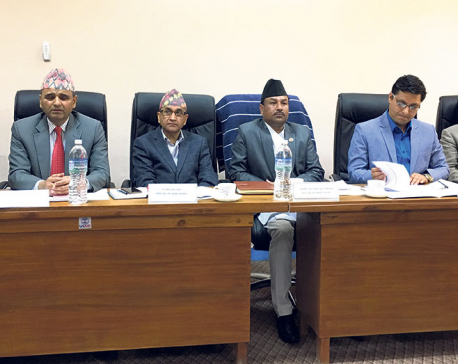 Unveiling the 100-day work progress of incumbent agriculture minister Chakra Pani Khanal on Wednesday, the ministry also said that Nepal and India have signed an agreement to upgrade National Agriculture Research Council (NARC) into university, to promote organic farming and other agri issues. Likewise, the ministry has also signed an agreement with the Israeli government to introduce farming technology of Israel in Nepal. According to the report, the ministry has started bilateral discussions with China, Qatar and the Netherlands for technical support in agricultural sector. Similarly, the ministry has signed a five-year work plan (2018-2023) with International Rice Research Institute (IRRI) of the Philippines to work jointly on seven sectors and 16 major projects. The ministry has upgraded existing three zones into super zones, and declared one more super zone, 14 zones, 166 blocks and 770 pocket areas in order to increase the production and productivity of agro products in the country. Furthermore the ministry has also prepared draft of the regulations for farmers’ pension. In order to promote agro tourism, the ministry has established Modern Green Tourism Village in participation of 75 households of Machhamara in Sunsari, Ghodaghodi in Kailali, Patale in Solukhumbu, Rautamai in Udyapur and Kakani in Nuwakot. 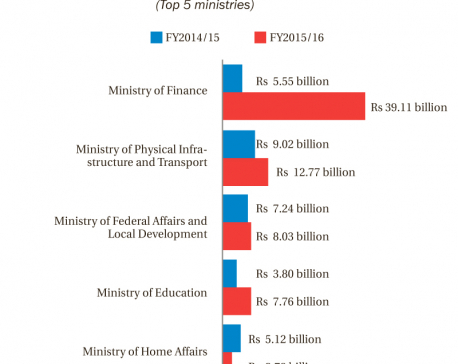 “The ministry has also taken a policy of discouraging fragmentation of farm land for real estate purpose,” the report states.